When you’re thirsty and in need of some refreshing, thirst-quenching water, you reach for the fridge and realize there’s no bottled water. Oh no! What do you do since your tap water tastes so bad? It’s time to introduce yourself to in-home water filtration systems featuring reverse osmosis technology. What is Reverse Osmosis and how does it work with tap water? Reverse Osmosis filtration is a process in which small particles (such as salts and sediment) are removed from a solution (such as water). Reverse Osmosis uses household water pressure to push tap water through a semi-permeable membrane. The membrane allows only the water to pass through, not the pollutants or contaminants. The impurities are then flushed down the drain leaving you with clean, fresh, purified water that you can enjoy right from your faucet. You can take advantage of this filtered water by simply installing a Reverse Osmosis Drinking Water System. It’s like having a bottled water company right in your home. Most reverse osmosis systems are installed under a kitchen sink and come with a dedicated sink top faucet exclusively for drinking water. That faucet is installed into a hole in your counter top whether it’s one from a sprayer or soap dispenser. If there are no holes available, one can be drilled through your countertop. What? You want to drill a hole in the counter of my kitchen or bathroom? Yes, those used to be the only solutions. But now thanks to Culligan, there is new cutting-edge technology! Culligan is proud to introduce Clear Link PRO™! Clear Link delivers reverse osmosis drinking water directly to your kitchen faucet without a dedicated faucet or drilling any holes. So, whether you are renting a home, going to college, or buying a home, Clear Link gives you the opportunity for the highest quality drinking water without compromising your countertops. How does the Culligan Clear Link System work? This newly enhanced product is a wireless water purification system that’s activated at the touch of a button. ClearLink PRO™ utilizes wireless technology to switch back and forth between unfiltered and filtered water. For filtered water, all you need to do is turn on the water, push the ClearLink PRO button, and the system redirects your reverse osmosis drinking water through your main faucet. This no-drill solution is perfect for people that don’t want to alter their countertops or don’t own their homes. With the great wireless technology that the ClearLink PRO™ offers, you can literally pick up and move the button to any location you would like. It has a sleek design and comes in a variety of finishes to match your home décor. 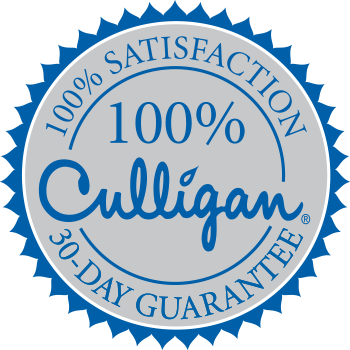 Thanks to Culligan, you now have more options for having clear, refreshing and 99.9% contaminant-free water right in your home. Better yet, it costs just pennies a pint compared to expensive store bought bottled water. Call your local Culligan Man to learn more and try out the ClearLink PRO™! Last Call! Wanted Dead or Alive!